Wordle is a nifty program that takes the frequency of words in a document and formulates them into a pretty design. It’s a great way to identify emerging themes in a body of work and they’re fun to make – especially with kids. Visit Wordle and design a wall decoration for your home or frame up some of your favorite words. 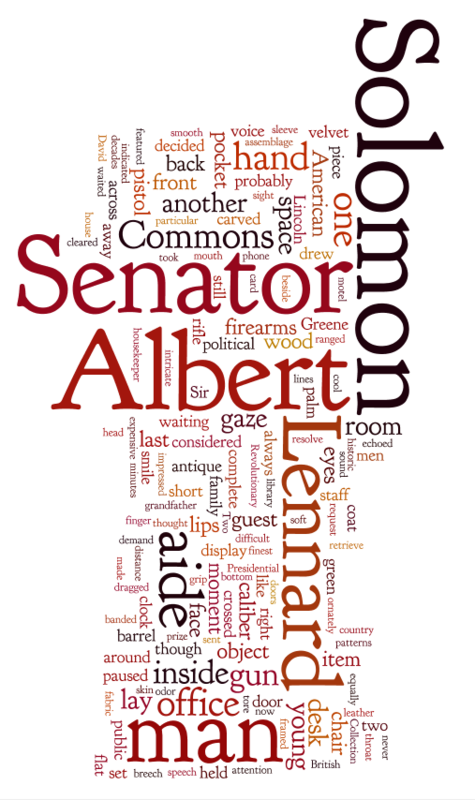 Today’s wordle is derived from “The Presidential Collection,” a short story in my crime collection Passing Judgement. Check out the book. Check out Wordle. They’re both fun! This entry was posted on July 16, 2013, 1:00 am and is filed under Author Promotion. You can follow any responses to this entry through RSS 2.0. You can leave a response, or trackback from your own site.